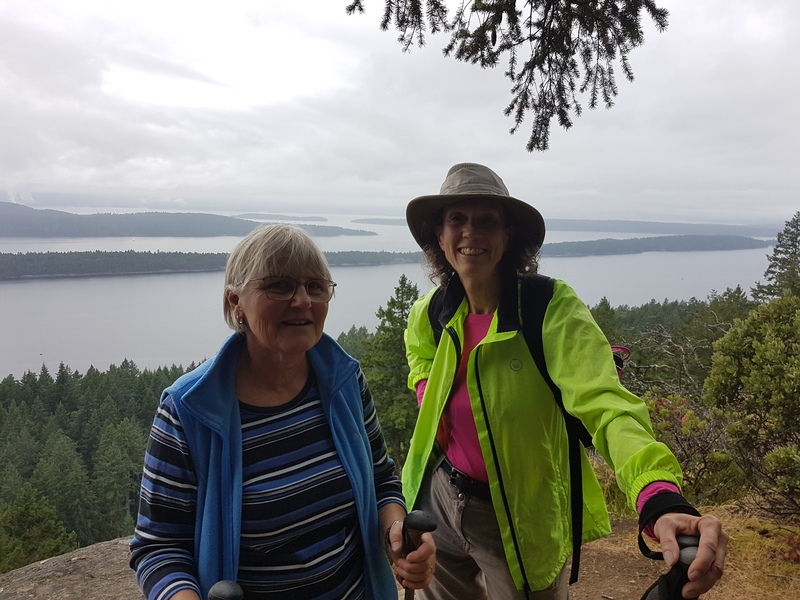 I am on Galiano Island now and this morning Sheila flew in from Vancouver. The sun is on a break today, but the forecast for the rest of the week looks nice. This afternoon we hiked up to Bodega Ridge, a 4km sandstone ridge 328m high (higher than the last hike!). Sheila’s cousin who lives on the island picked us up and guided our little tour. Tonight we are all going out to a famous restaurant nearby. Another beautiful fall day and I moved on to Bedwell Harbour. 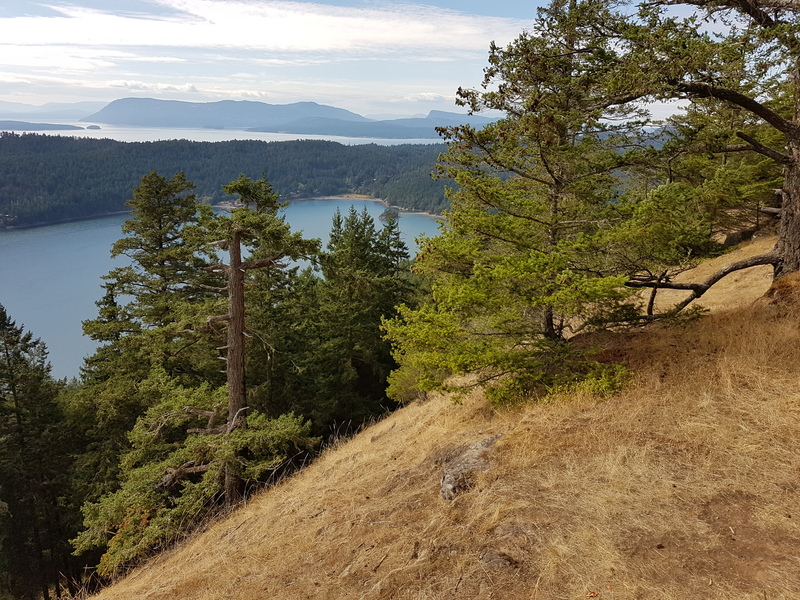 I climbed Mount Norman, at 266m altitude not quite Kilimanjaro, but it is the highest mountain on South Pender Island, and there were a few steep bits. The views from the top were very nice. Now it is off to the pub at Poet’s Cove. Sheila and I flew back to the boat in Ganges yesterday and enjoyed a nice evening with friends. 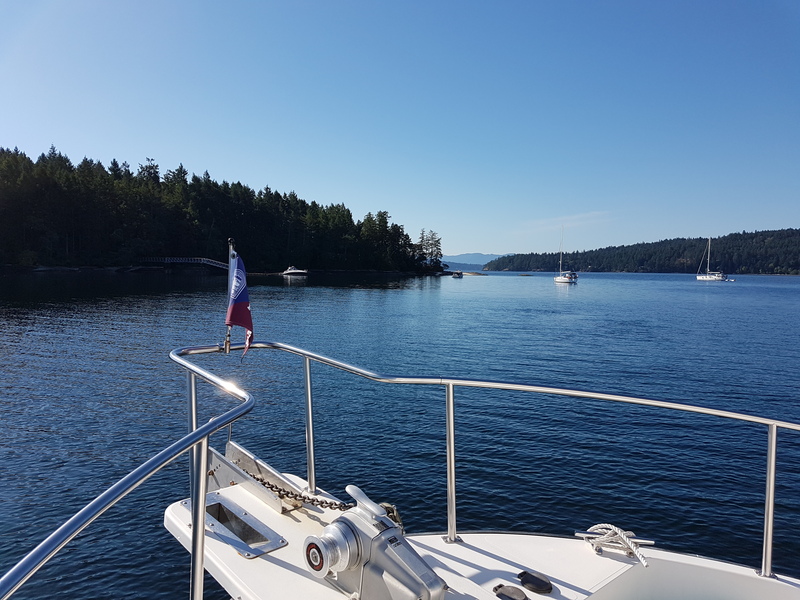 Today Sheila flew back to Vancouver, I visited friends in Saanich who have a house with a dock, and am anchored now around the corner from Butchard Gardens. On the way, I stopped at Russell Island, which was first settled 140 years ago by Hawaiian and First Nations people. There are still apple trees on it with nice fruit and I enjoyed walking in beautiful sunshine. In a week we plan to hand over the boat for winter storage, so it is close to the end of the season for us.